The new application will change the way of your work and you will not even miss any reservations. Wherever you are, whatever you are doing, you will always have everything under your control and you can continue to take new reservations for your Bed and Breakfast. Pocket BnB allows you in a few steps to take your reservations, send confirmations and check-in quickly. At any time and wherever you can will manage your B&B allowing you to have free time for you and do not lose sight of your work. You will not have to sign any contract, you have no bond, no commission. With the App always with you, wherever you are and at any time, you can check availability in the requested period, finalize a booking, send by email, sms or whatsapp confirmations, add accounts in a few clicks in a easy and quick. Try our application for 15 days without obligation. You will not be asked to sign any contract. 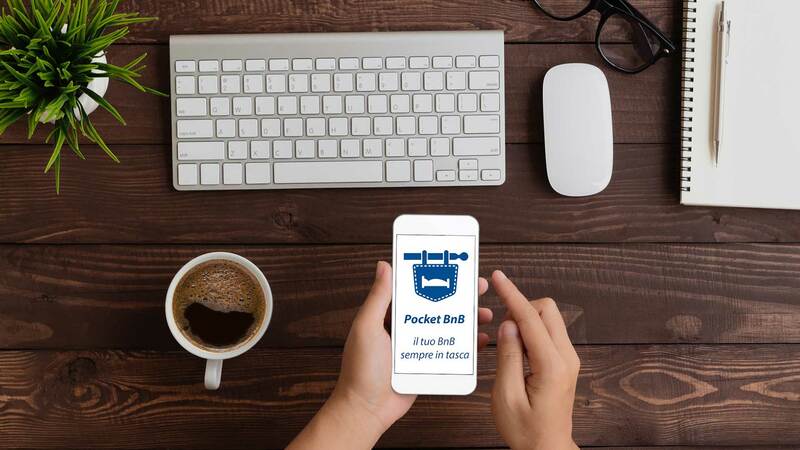 PocketBnB is available in the Web version for desktop and in the App version for Android and Ios. You will not be asked for any commission on your reservations. You can download for free Pocket BnB App on Play Store or on App Store. After registration, you will able to use app for one month. For any question please contact us using contact form. After your free 15 days, you can choose to renew subscription choosing one of our pricing plans below. You can renew subscription in any moment.